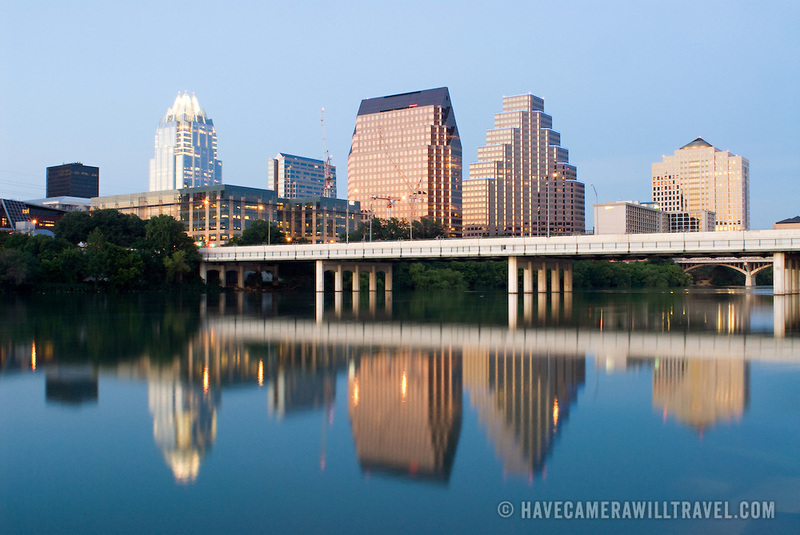 Austin skyline in the twilight with several tall modern buildings in downtown Austin reflected on Town Lake. In the middle of the frame is the Congress Avenue Bridge. The shot is taken from the southern bank of Town Lake facing east.